Normally, I would advise you against using the terms “Fat Witch.” It’s not very nice. Except when you’re talking about Fat Witch brownies, which are very, VERY nice. Check out their awesome brownies and get our recommendations for what to pick up! 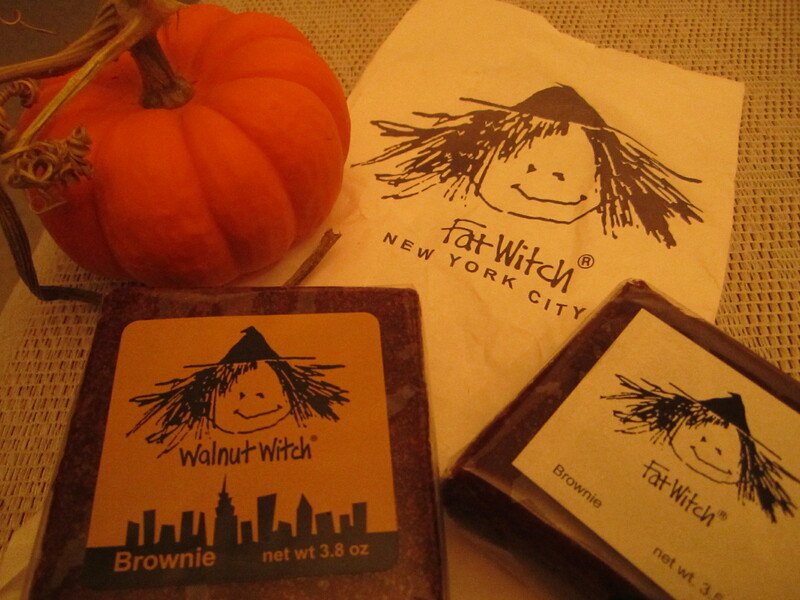 The Fat Witch is a classic, no-frills brownie. But it’s far from standard and boring. It’s described as intense chocolate for a reason. Even a nibble of this rich brownie will fill you up and satisfy any chocolate craving, but you’ll be tempted to polish it all off in an instant. My all-time favorite Fat Witch treat is the Walnut Witch. It’s all the savory goodness of the classic brownie with the added hearty crunch of crisp walnuts. If you want a just for fun treat, try the Wicked Brownie: it’s topped with bright green sprinkles, a la the hit Broadway musical. (The best witch collaboration out there?) These seem to be exclusive to their New York location, so make sure to pick one up if you’re in the area. For calorie-free brownie browsing and all the further convincing you’ll need about Fat Witch’s awesomeness, check out the Fat Witch Pinterest page. These are the best and worth the trek to Chelsea Market.